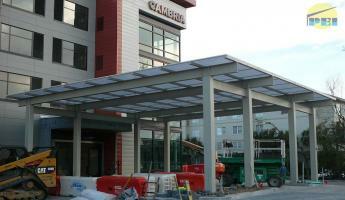 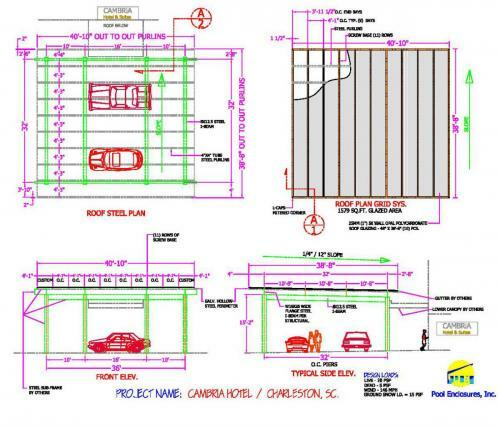 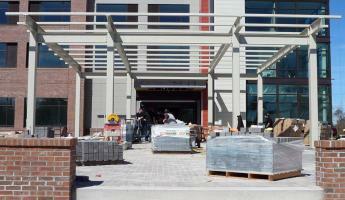 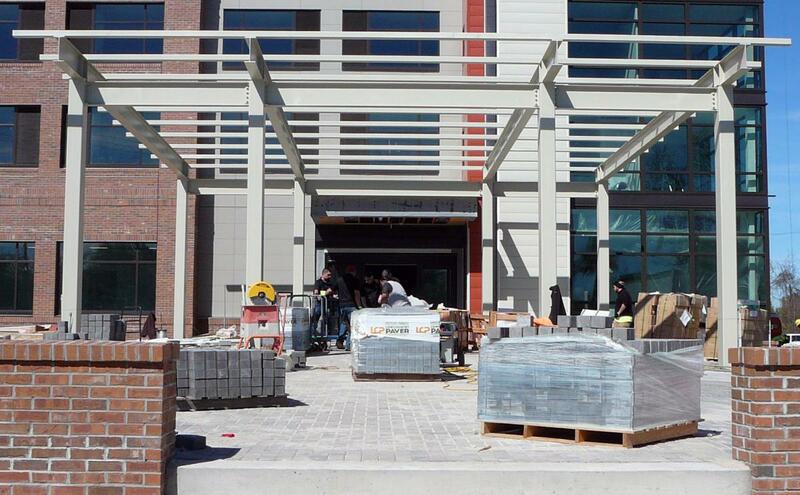 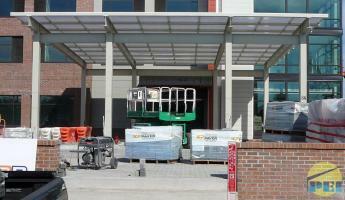 Below is a new Flat Roof Porte Cochere for a Cambria Hotel located in Charleston, SC. 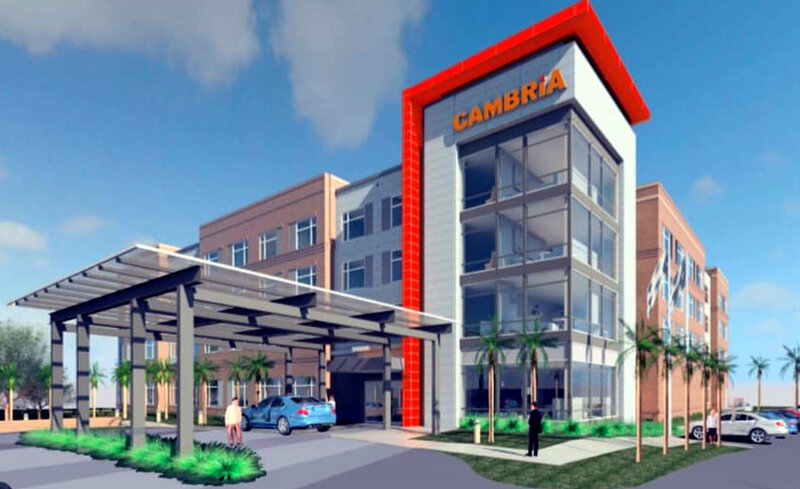 slated to open in early 2019. 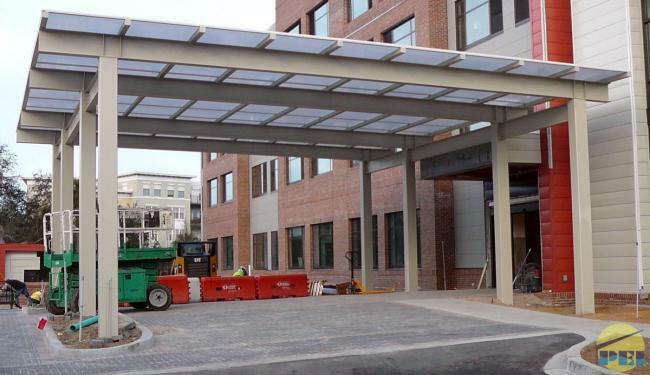 The roof material is 25mm 5-X wall opal polycarbonate, sandwiched between an aluminum glazing system that is attached to a Steel sub-frame by others. 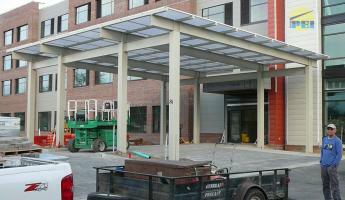 Installation will be by American Solar, Inc. in conjunction with supervision by PEI. The canopy is designed for the high 149 mph coastal wind loads. 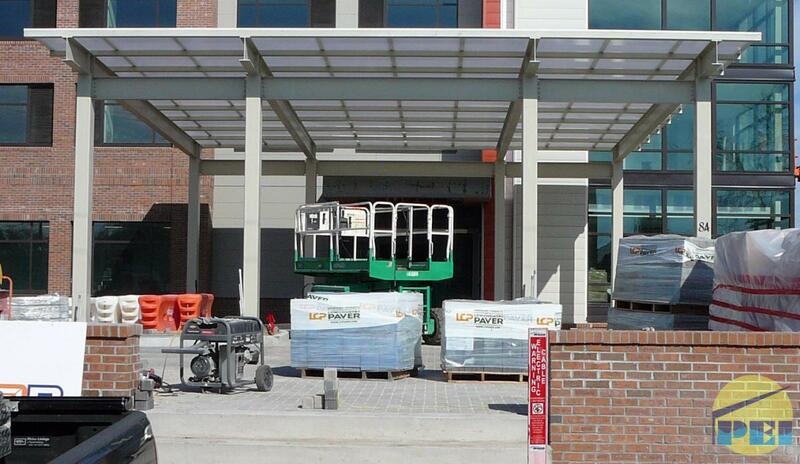 Click here for another South Carolina (Arched Roof) Porte Cochere.